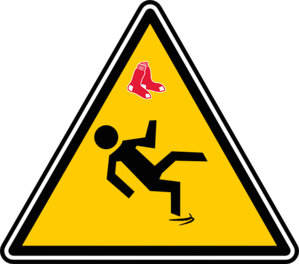 FenwayNation—Red Sox, Mookie, J.D., Bogaerts, Sale, JBJ—Founded 1/27/2000—9-Time Champs: 'Slip Sliding Away': Sox Headed Into Troubled Waters? 'Slip Sliding Away': Sox Headed Into Troubled Waters? OK, we've reached our quota of Paul Simon references (two) in the title of this post alone. So, as the Red Sox look to avoid a sweep today at the hands of the surging Tigers, there is a certain foreboding in The Nation. Our beloved team is now in third place—falling behind another surging team in the Blue Jays. And, day-by-day, it's becoming clearer that our prodigious offense (top run scorers in MLB) might not be enough to bring a ninth championship. As it always does, everything comes down to pitching. Losing 9-8 at home (as they did last night) is just not an acceptable result. The pressure is mounting on Dave Dombrowski to make a bold stroke and get a true ace—and maybe give up the future to get him. These are troubled times on Yawkey Way—as the team sails off into the sunset of a 10-game West Coast trip. When they return, we may know the true fate of these 2016 Carmine Hose.